The Innsworth Lodge (8751) Installation Meeting took place on 23 September 2017 and, this year, the dining room was decorated with Royal Air Force ensigns. Two were displayed behind the Worshipful Master’s chair, and two small ensigns were placed on each of the tables for the Festive Board. 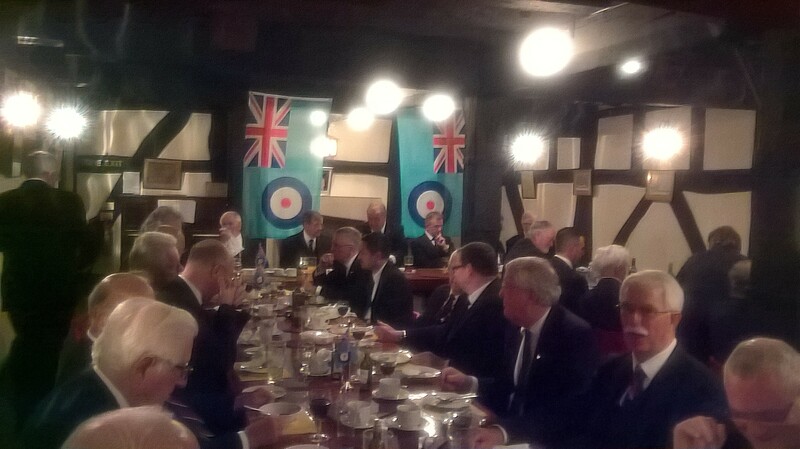 Innsworth Lodge was founded as a Royal Air Force Lodge, and it is a tradition that the Battle of Britain is commemorated at the Lodge Meeting closest to the official commemoration date; 15 September. The RAF was founded on 1 April 1918, and the ensigns will be displayed at the Innsworth Lodge Festive Boards until the end of 2018; the Centenary year. The new Master, W Bro Martin Price (who was a serving member of the RAF) was installed by W Bro David Wood; the Provincial Grand Master was represented by W Bro Christopher Martin Stretton, Prov SGW.